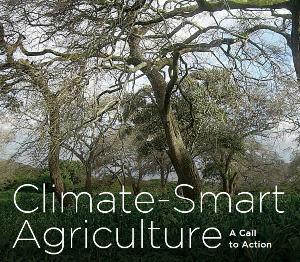 Climate-smart agriculture addresses the impacts of a changing climate on agriculture and presents solutions to both mitigate the contribution of agriculture to greenhouse gas emissions and to feed an ever-increasing global population. Particular practices, such as incorporating trees into farms, water capture technologies, inter-cropping, and integrated livestock-crop systems, increase resilience to climatic stress, building soil organic matter, and storing carbon. The World Bank has produced a video on climate-smart agriculture, presenting the “triple win” scenario. Examples from the field help explain different practices considered to fall under the climate-smart category. These various components of a climate-smart agricultural landscape are addressed in the video. However, the definition of climate-smart agriculture goes further to recognize that an integrated approach to planning for agriculture, forests, fisheries, and water is necessary to ensure the synergies between these systems are realized. Moreover, it implicates the need to continue producing food within the landscape to feed communities, and protect the livelihoods of the local people, all in a sustainable manner. A post on the Landscapes Blog back in April tackles this notion of “climate-smart landscapes” and the steps to take en-route implementation. 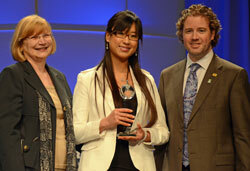 Alltech announced the winners of their Young Scientist competition during Alltech Symposium 2012. In addition to regional winners there are two global winners (graduate and undergraduate). Altogether there were 8,000 entries in the competition! Presenting the awards were Dr. Mark Lyons and Dr. Inge Russell. 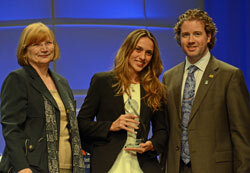 The Global Undergraduate winner is Gisele Greghi, Universidade Sao Paulo, Brazil. The Global Graduate winner is Qian Wang, University of California-Davis, USA. The Alltech Young Scientist Award brings together the world’s brightest scientific thinkers from colleges and universities across the globe. To compete for the top prizes, undergraduate and graduate students are asked to register and submit a scientific paper on an agricultural topic such as veterinary science, animal feed technology, agricultural developments or agriculture management. 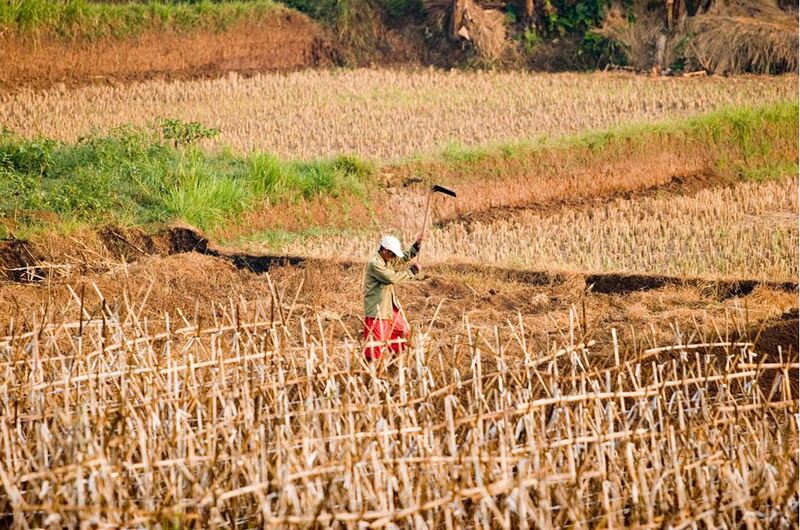 What Climate Change means for Farmers in Asia ? After an introduction from recent literature on how climate change influences the livelihood of rural people, we discuss and illustrate what climate change really means for farmers in Asia, including global warming, increasing climate variability, more and more severe climate extremes, and contributions from agriculture in diminishing greenhouse gases. Vulnerable communities across the world are already feeling the effects of a changing climate. These communities are urgently in need of assistance aimed at building resilience, and at undertaking climate change adaptation efforts as a matter of survival and in order to maintain livelihoods (e.g. [1, 2]). They are in need of an urgent rural response to climate change. The reality of climate change calls for a need to understand how it might affect a range of natural and social systems, and to identify and evaluate options to respond to these effects (e.g. ). This should lead to an in-depth investigation of vulnerabilities and adaptations to climate change, which have become central to climate science, policy and practice. The capacity, however, to conduct vulnerability and adaptation assessments is still limited . For example, the International Research Institute for Climate and Society  indicates to use a science-based approach to enhance society’s capability to understand, anticipate and cope with the impacts of climate in order to improve human welfare and the environment. We want to extend this approach to the rural communities of Indonesia and elsewhere in Asia. The basis of our approach is listening to concerned farmers to better understand their vulnerabilities and needs the way they see them. In a “farmer first” paradigm, or a participatory approach, we will be able to generate support with them and for them in facing the consequences of increased climate variability and climate change in their livelihoods . However, applied scientists cannot do that alone. They should be the connection between applied science and the actual production environment. To that end, they in fact would be most useful to back up well-educated extension intermediaries. The latter must train, on an almost daily basis, farmers, farmer facilitators and ultimately farmer trainers and farmer communities. Unfortunately, extension services are often absent. Where they still do exist, they are poorly trained and have received little or no upgrading about the fast changes occurring in the agricultural production environment, and about the actual crises in the livelihood of farmers . For an agricultural economy, astronomical knowledge as a regulator of the agricultural calendar was of prime importance . He who could give a calendar to the people would become their leader. More specifically, this was true for an agricultural economy that depended so largely upon artificial irrigation. It was necessary to be forewarned (…) of the beginning of the rainy monsoon season . These remarks were valid for several millennia in China and also apply for example to India and Indonesia, to rain fed and irrigated agriculture. Farmers, supported by scientists, still use such astronomical approaches of the rainy season (e.g. [10, 11, 12]). However, it must be sorted out how well such approaches can still hold, or can be adapted under the present conditions of a changing climate, in comparison to a response farming approach [13, 14]. We have indeed encouraged some of the farmers we work with in Indonesia, a majority of whom are older, that still believe in possibilities to try to adapt their local cosmology (pranata mangsa) to new conditions. They better find out for themselves the new limits of this traditional approach. We can help, for example, using simple climate predictions as these days they are generally available (e.g. ). Traditional knowledge and indigenous technologies should always be taken seriously and they should always be tried out in a participatory approach to find new limitations under changing conditions [4, 16]. Conducting local experiments together is also often a good way to create a rapport with the local farmers, and to come together to compare traditional and modern scientific approaches . As financing for climate change adaptation in developing countries begins to flow, it is essential the governance of funding at the global and country level be shaped so the needs of the most vulnerable can be met . The core issue is country-level ownership of adaptation finance. Providers of adaptation finance must put developing countries in the driver’s seat, while the countries themselves must exercise leadership and respond to the needs of those most affected by climate change. Most importantly, civil society and vulnerable communities must be able to steer and hold accountable the way in which adaptation finance is used . The latter issue is even more important in Indonesia, the most corrupt country of Asia, at the levels of central and local authorities. While it is relatively easy to define technical messages that can be communicated, we have to look beyond “adaptation to current climate variability” and target the basic vulnerability factors of communities. Communication aims also at improving the learning process, and creates capacity to cope with climate variability . Measuring rainfall and observing the agronomical consequences by farmers in their plots have been a great start for such communications. In this introduction we have brought up some points that guided our work with farmers in Indonesia. Below, we will start to exemplify what the most important consequences Indonesian and other Asian farmers face because of increasing climate variability and climate change. In a second paper we will discuss our initial approach to make farmers more aware of what is happening around them on a daily basis, and also our initial attempts to answer their many questions related to these issues. (I) II. CLIMATE CHANGE, WHAT DOES IT MEAN FOR ASIAN FARMERS? The discussion of whether climate change exists does not need to be taken up here as the evidence is rather clear (see below), and the discussion on the causes of climate change is mostly irrelevant for those suffering the consequences. Even if we were able to reduce apparent sources of climate change, or find other geophysical ways to reduce global warming, it would continue to take place and only at a reduced speed. The problem we face is the experts on climate variability and climate change do not really know what information the grassroots need in the short- and medium-term [13, 19], and the people working with vulnerable communities do not know what science is available . The main issue we cannot leave out here regarding what the agricultural sector could do to mitigate climate change, in a win-win situation, is that of large scale agroforestry with food security components [20, 21]. Let’s first look at the main issues behind a changing climate for Asian farmers, and at some of the consequences. Many tropical regions in Africa, Asia and South America could see the permanent emergence of unprecedented heat in the next two decades. According to projections, large areas of the globe are likely to warm up so quickly that, by the middle of this century, even the coolest warmer seasons will be hotter than the hottest seasons of the past 50 years . Historical data from weather stations around the world was also analyzed to see if the projected emergence of unprecedented heat had already begun. When we look back at temperature records, we find extreme heat emergence is already occurring, and that climate models represent the historical patterns remarkably well . This dramatic shift in seasonal temperatures could have severe consequences for human health, agricultural production and ecosystem productivity. Below we will come back to consequences of temperatures too high for rice production in Asia. Here, we want to note only that part of the poverty-alleviation rationale for participatory rice research is that improved rice production will give farmers greater flexibility in their use of land and labor. This outcome would be made possible by varieties that yield better, mature earlier, or tolerate drought and much more difficult heat, or by the new System of Rice Intensification, or SRI [23, 24]. This, in turn, will allow them to more easily diversify into higher-value crops without completely losing the food security provided by rice. The economic arguments for the diversification of agricultural production in Indonesia are now joined by climatological arguments . Agricultural production in Indonesia is strongly influenced by the annual cycle of precipitation and year-to-year variations in the annual cycle caused by El Niño-Southern Oscillation (ENSO) dynamics. The combined forces of ENSO and global warming are likely to have dramatic, and currently unforeseen, effects on agriculture production and food security in Indonesia and other tropical countries . To date, climate models have been developed with little knowledge of agricultural systems dynamics; while agricultural policy analysis has been conducted with little knowledge of climate dynamics. Integration proposed of what we know of climate dynamics and has been collected in agricultural systems models will permit an assessment of climate-related uncertainty associated with global warming and ENSO dynamics. In such integration, detailed crop dynamics models can be run with climate model forcing (e.g. [27, 28]). This integration ultimately will also demonstrate how the treatment of uncertainty affects the choice and consequences of agricultural policies . During El Niño events, Indonesia’s production of rice, the country’s primary food staple, is affected in two important ways: First, delayed rainfall causes the rice crop to be planted later in the monsoon season, thus extending the ‘‘hungry season’’ (paceklik, the season of scarcity) before the main rice harvest; and second, delayed planting of the main wet-season crop may not be compensated by increased planting later in the crop year, leaving Indonesia with a reduced rice area and a larger-than-normal annual rice deficit . The ENSO actually can swing beyond the “normal” state to a state opposite that of El Niño, with the trade winds amplified and the eastern Pacific colder than normal. This phenomenon is often referred to as La Niña. In a La Niña year, or when a La Niña period occurs, many Asian regions inclined toward drought during an El Niño, such as Indonesia, are instead prone to more rain. Both El Niños and La Niñas vary in intensity from weak to strong. The intervals at which El Niños return are not exactly regular, but have historically varied from two to seven years. Now, an El Niño can subside into a “normal” pattern. At other times it gives way to a La Niña. In many ways, the ENSO cold phase is simply the opposite of the warm phase. This often holds true also for the climate impacts of the two. El Niño, or warm phase, tends to bring drought to countries like Indonesia and Australia, at the west end of the Pacific, while La Niña, or cold phase, tends to bring more rain than normal . Now, it appears the frequency of these phenomena, and how they follow each other, has changed in recent times. However, we are not able to simulate these actual changes with the models that summarize our understanding, which at this moment is still very insufficient . As a direct consequence of this capricious behavior of climate in Indonesia, the adaptation of Indonesian farmers has lagged behind enormously [32, 33]. Still, there are other reasons Indonesian farmers have been slow to adapt. First, the Integrated Pest Management Farmer Field Schools (IPM FFSs) experiments, started in Indonesia at the very end of the eighties to eradicate particularly Brown Plant Hopper (Nilaparvata lugens Stål) epidemics, were never sufficiently institutionalized and remained of too small a size and depth to cause much community scale absorption of the technology. The weakness of this capability in most farming communities is itself an important problem; one which has often been exacerbated by earlier agricultural development programs that fostered a dependency on external sources of expertise . Some experts claim the principles of IPM are too complex for small farmers to master , and this may be one of the reasons the movement slowly decayed and was not able to prevent new serious BPH epidemics such as in 1998-1999 and 2010-2011 . Another serious reason Indonesian farmers are lagging is the persisting government policy to achieve high productivity, and to allow the prophylactic use of pesticides to continue, supported by intensive chemical promotion strategies by corporations in Indonesia. The second issue is the apparent failure of the presently relatively large-scale Climate Field Schools approach in Indonesia, including the absence of any systematical use of seasonal climate predictions by farmers [33, 36]. Environmental catastrophes and the forces of nature they unleash are something to behold, fear and respect . The kind of havoc they cause to the lives of mankind and the planet as a whole are nothing new. But the ferocity, frequency and magnitude of such extreme weather conditions seem to be on the rise in the last few decades, and are gathering speed with each passing year. Alone, these incidents seem to be just another environmental disaster, having local or countrywide consequences, but when one takes in the big picture, the enormity of it all hits, and they appear downright frightening  [Fig. 1]. China is a case in point. Weather took an about-turn in China in the first week of June 2011, when, only a week after the northern provinces faced the worst drought in the last 60 years, the central and southwest regions of China were hit by heavy flooding triggered by excessive and continuous torrential rains. Ironically, while the deadly flooding continued, a persistent drought was still plaguing five provinces in the middle and lower reaches of the Yangtze River. Though floods are annual events in these areas of China, the extent to which these 2011 floods hit and affected people had not been witnessed in the last 20 years . In such a huge country, newspapers report on damages from severe weather and climate on a daily basis. Even covered cropping systems in China suffer from various disasters . In Indonesia, the newspapers report almost daily on landslides and their victims, the landslides always due to heavy rainfall. Agroforestry may have a protective function, as it was already used traditionally in the tropics . Forest fires ravaged Indonesia during the 1997-98 El Niño drought episode. But that country’s officials feared torrential La Niña rains on Indonesia’s charred and de-vegetated lands could produce flash floods, serious soil erosion and an ashy brew of runoff toxic enough to kill fish and damage ecosystems . At the beginning of a more recent El-Niño period in 2009 and 2010, severe drought delayed the planting season. Farmers applied some adaptation strategies such as practicing dry-nursery instead of wet-nursery seedbeds, selecting rice varieties with more suitable lengths of their growing season and building ground-water ponds, which all proved to be beneficial [40, 41]. In the meantime, in April 2010, the El Niño situation made place for a recurring La Niña situation that overtook the prevalent El Niño with an unprecedented speed. But, we were not aware of that from any existing forecasts. This situation was worsened by a climate induced Brown Plant Hopper attack, locally known as wereng cokelat [18, 35]. Farmers face ever-increasing problems from such extreme events. Farmer organizations in Indonesia are blaming the local and central governments for being too slow in educating farmers on how to adapt to extreme weather shifts. We should generate and support a rural response to climate change. Stigter summarized this subject  partly as follows: The total Green House Gas (GHG) emission from agriculture was estimated to increase globally by about 50 percent from 2000 to 2030. Early in this period, agricultural expansion was by far the leading cause at a global scale, whether through forest conversion for permanent cropping, cattle ranching, shifting cultivation or colonization agriculture. Most prominent underlying causes of deforestation and degradation are economic factors, weak institutions and inadequate national policies. Mitigation techniques such as improved feed quality, improved manure management, improved fertilizer use and greater applied nitrogen efficiency, as well as improved water management in rice paddies, all have to be considered in order to minimize the impact of agriculture on climate in win-win situations. We mention here only such win-win situations because it seems unfair to overly pressure farmers to compensate for the larger sources in the same country. The agricultural sector was once a major contributor to GHG emissions, but it has been superseded by the energy and transportation sectors, also in Indonesia . However, all sectors have a role to play, and all must be mobilized in the collective efforts to mitigate global climate change. Significantly, agriculture has an important role because of the large land areas involved, and because there are already many available technologies and opportunities in agriculture to contribute to the global mitigation effort, many of which can be implemented with minimal or no cost. Soil carbon sequestration has a higher mitigation potential than emission reductions in agriculture, although both are important. These are best achieved under management systems with higher carbon density, as well as improved soil conservation [42, 44]. Of course, in Indonesia the contributions to emissions of land use change and forestry together with peat fires are much more important than all other sources of emissions together , and it is here that serious changes have to be made. The lack of an effective carbon price is currently one of the most significant detriments to collective global action. There are some strong trends in the expansion of global carbon trading, and some initiatives to promote carbon taxes. These are positive, since ultimately they will promote a realistic price on carbon. However, some key constraints still need to be overcome, namely how to mobilize the large and highly diverse global farm populations, and how to certify sequestered carbon and GHG emission reductions given the high variability inherent in agricultural production environments. Clean Development Mechanism (CDM) rules should encourage the participation of small farmers and community forest and agroforestry producers. Such rules should protect against major livelihood risks, while still meeting investor needs and rigorously ensured carbon offset goals. Agroforestry, assisted natural regeneration, forest rehabilitation, forest gardens, and improved forest fallow projects should all be eligible under CDM  because they offer low-cost approaches to carbon sequestration, while offering fewer social risks and significant community and biodiversity benefits. Short-duration tree growing activities should be permitted, with suitable discounting. Unfairly favoring large plantations should be avoided. The successful promotion of livelihood enhancing CDM sequestration projects will require investment in capacity-building and advisory services for potential investors, project designers and managers, national policy makers, and leaders of local organizations and federations [20, 42]. Above we summarized what climate change means for farmers in Asia, particularly in Indonesia. In a companion paper we will report on our work in Indonesia to try to build from the bottom up a rural response to climate change. In practice, particularly for Indonesia, this means a response to global warming and the related changing ENSO frequencies and occurrences. The approach started with meetings to answer farmers’ questions on climate change and its consequences and it proceeded with advocating and guiding simple field measurements by farmers in their plots, and increased observations and analyses of their agro-ecosystems . We advocate for this approach to be used elsewhere in Asia. G. Mergeai, “Agriculture as a motor of pro-poor growth: Potentials and constraints of conservation agriculture to fight rural poverty in Sub-Saharan Africa,“ An Editorial, Tropicultura, vol. 28, pp. 129-132, Sept. 2010. C. Ionescu, R.J.T. Klein, J. Hinkel, K.S. Kavi Kumar and R. Klein. “Towards a formal framework of vulnerability to climate change,” Environ. Model. Assess., vol.14, pp. 1-16, Jan. 2009. K. Stigter, “Introductory Part,” PART I in Applied Agrometeorology, K. Stigter, Ed. Berlin etc. : Springer, 2010, pp. 3-51. K. Stigter, “Education, Training and Extension,” Sect. IV.5 in Applied Agrometeorology, K. Stigter, Ed. Berlin etc. : Springer, 2010, pp. 893-899. K. Stigter, “Reaching farmers in a changing climate”. Roving Seminar Nr. 3. Material handed out to participants. Available form the author on request (cjstigter@usa.net), undated, 2011. C.A. Ronan, The shorter science and civilisation in China. An abridgement of Joseph Needham’s original text, vol. 2 (vol. III and a section of vol. IV, part I, of the major series). Cambridge: Cambridge University Press, 1981, 459 pp. K. Stigter, ”Agrometeorological services under a changing climate: old wine in new bags,” WMO-Bull., vol. 57(2), pp. 114-117, Apr. 2008. Y.T. Winarto, K. Stigter, E. Anantasari and S.N. Hidayah, “Climate Field Schools in Indonesia: coping with climate change and beyond,” LEISA Mag. 24(4), pp.16-18, Dec. 2008. A. Challinor, “Expert systems,” Sect. IV.4 in Applied Agrometeorology, Kees Stigter, Ed. Berlin etc. : Springer, 2010, pp. 885-891. R. Gommes, M. Acunzo, S. Baas, M. Bernardi, S. Jost, E. Mukhala and S. Ramasamy, “Communication approaches in applied agrometeorology,” Section II.D in Applied Agrometeorology, K. Stigter, Ed. Berlin etc. : Springer, 2010, pp. 263-286. A. Kassam, W. Stoop and N. Uphoff, “Review of SRI modifications in rice crop and water management and research issues for making further improvements in agricultural and water productivity,” Paddy Water Environ., vol 9, pp. 163–180, Mar. 2011. N. Uphoff, A. Kassim and R. Harwood, “SRI as a methodology for raising crop and water productivity: productive adaptations in rice agronomy and irrigation water management,“ Paddy Water Environ., vol 9, pp. 3–11, Mar. 2011. K.R. Reddy and H.F. Hodges, Eds.. Climate Change and Global Crop Productivity. Wallingford/New York: CABI Publish., 2000, 472 pp. R.L. Naylor, D.S. Battisti, D.J. Vimont, W.P. Falcon and M. B. Burke, “Assessing risks of climate variability and climate change for Indonesian rice agriculture,” Proc. Nat. Acad. Sc. (of America) (PNAS), vol. 104, pp. 7752-7757 , May, 2007. Y.T. Winarto and K. Stigter, Eds., Agrometeorological Learning: Coping Better with Climate Change. Saarbrucken: LAP LAMBERT Academic Publishing GmbH & Co. KG, 2011. P.R. Siregar and T.A. Crane. Climate information and agricultural practice in adaptation to climate variability: The case of Climate Field Schools in Indramayu, Indonesia. Cult. Agric. Food Environm., vol. 33(2), pp. 55–69, Dec. 2011. Zheng Dawei and K. Stigter, “Combating disasters in covered cropping systems,” Section III.6.B. (ii) in Applied Agrometeorology, K. Stigter, Ed. Berlin etc. : Springer, 2010, pp. 821-824. Y.T. Winarto, K. Stigter, E. Anantasari, H. Prahara and Kristyanto, “We’ll continue with our observations, Agro-meteorological learning in Indonesia,“ Farming Matters (formerly LEISA Mag. ), vol. 26(4), pp.12-15, Dec. 2010. K. Stigter, “Introduction to Part IV,“ Section IV.1 in Applied Agrometeorology, K. Stigter, Ed. Berlin etc. : Springer, 2010, pp. 857-867. S.J. Vermeulen, P.K. Aggarwal, A. Ainslie, C. Angelone, B.M. Campbell, A.J. Challinor, J.W. Hansen, J.S.I. Ingram, A. Jarvis, P. Kristjanson, C. Lau, G.C. Nelson, P.K. Thornton and E. Wollenberg, “Options for support to agriculture and food security under climate change,” Environmental Science & Policy, vol. 15, pp. 136-144, Jan. 2012. Worldwide Nepalese Students’ Organization together with the Nepali Youth Task Force on Rio+20 is organizing Kathmandu+20 – a wider gathering of Nepalese Youth on 24-25th May 2012 in Kathmandu, Nepal as part of the international project “MyCity+20” (http://mycityplus20.blogspot.co.uk). In the run-up to the United Nations Conference on Sustainable Development (also known as Rio+20) in Rio de Janeiro this June, young people around the globe want to share their views on the future of their planet. 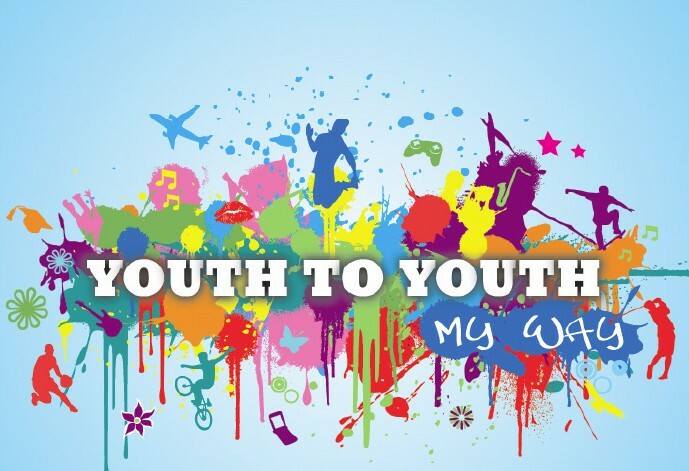 Youth are eager to get involved in the decision-making process and learn and apply key issues surrounding sustainable development and the emerging global frameworks for sustainable socio-economic and environmental development as well as inter generational equity. We are organizing a 2-days long Conference where we will interact with the experts, negotiators and government officials working on Rio+20. This event also aims to hold the simulation of the summit. Kathmandu+20 is a youth led initiative aiming to bring up the voice of Nepali Youth towards Rio+20 (www.uncsd2012.org) and take them to the real event by organizing simulations of the summit and engaging and educating youth and students on the issues of the Rio+20. This proposal is intended for Nepalese citizens and intends to give out grants to those who are in early stage of their research with subjects related to research on livestock in Nepal/ South Asia. The recipient can be anyone from student to lecturers, professors and can be from any institution. The deadline for application is 18 May 2012. A total of 15 early researchers will be selected during this pre proposal who will then be provided with a training in Kathmandu. In the final stage, five of the proposals will be given out the grants. Grant Amount is upto 7500 US Dollars. If the first year funding will be of good results the project can also be funded for next year. The Grant is supported by USAID. Climate change poses a major challenge for developing countries. Despite growing evidence to support low-carbon and climate-resilient strategies, many countries have yet to mainstream climate change within their national development plans. Bridging the gap between climate research and development policy is crucial. The UNU-WIDER conference on ‘Climate Change and Development Policy’ aims to reflect the diverse range of perspectives on how to balance climate and development objectives. The conference will evaluate how research can inform development policy and identify existing knowledge gaps. Researchers and policy makers will be brought together to advance knowledge of development and climate change. The conference focuses on both low-carbon development (mitigation) and climate-resilient strategies (adaptation). Emphasis is given to studies that (i) link climate change to socioeconomic outcomes and identify policy responses, and (ii) evaluate how adaptation and/or mitigation policies influence development processes and policies. Regional, country and sectoral studies are welcome, as are analyses that consider uncertainty in future climate outcomes. The conference is intended primarily for researchers and policy makers. Participants from developing countries are particularly encouraged. All participants may be requested to serve as discussants. Those interested in presenting original research are invited to submit an extended abstract of 1-2 pages by 10 June 2012. Please complete the online application form at http://www.wider.unu.edu/climate2012, and attach your abstract and CV. All submissions will be reviewed and authors will be informed of the outcome by 30 June 2012. In the case of accepted abstracts, full papers will be required by 31 August 2012. Others wishing to attend without presenting (e.g., PhD students, policy makers, journalists) should also complete the online application form and briefly explain (under ‘Remarks’) their interest in the conference and attach their CV. Accepted papers will be considered for publication in the UNU-WIDER Working Paper series, and possibly in a Conference Proceedings. UNU-WIDER is also planning a special journal issue on ‘Climate Change in the Middle East and North Africa’. Please indicate upon submission whether you would like your paper to be considered for publication in either the Conference Proceedings or the special issue. For accepted participants, UNU-WIDER will cover accommodation and meals of one person per presented paper period. Subject to UN procedures, travel expenses to and from Helsinki can also be covered for some participants, with preference given to those from developing countries. There is no conference fee. Young people of Nepal have identified the emergent need of youth involvement have decided to hold the Third Nepalese Youth climate Summit specifically focusing on Rio+20 agendas: Green Economy in the context of poverty eradication and sustainable development, and Institutional Framework for Sustainable Development with the Simulation of Rio+20. Applications can be sent it to nyca.np@gmail.com or applicants may also drop them at the office of Clean Energy Nepal, Thapagaun, New Baneshwor.